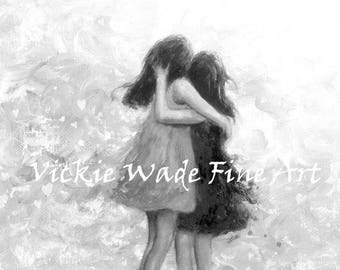 ♥♥♥ This is a fun, flirty, feminine two sisters wall art! 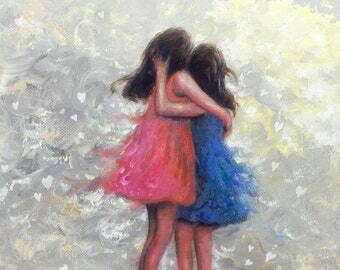 ♥♥♥ spring, two girls, fashion girls, pretty teenage girls, teens, sisterhood, pastel, pretty dresses, pink, yellow, blue. 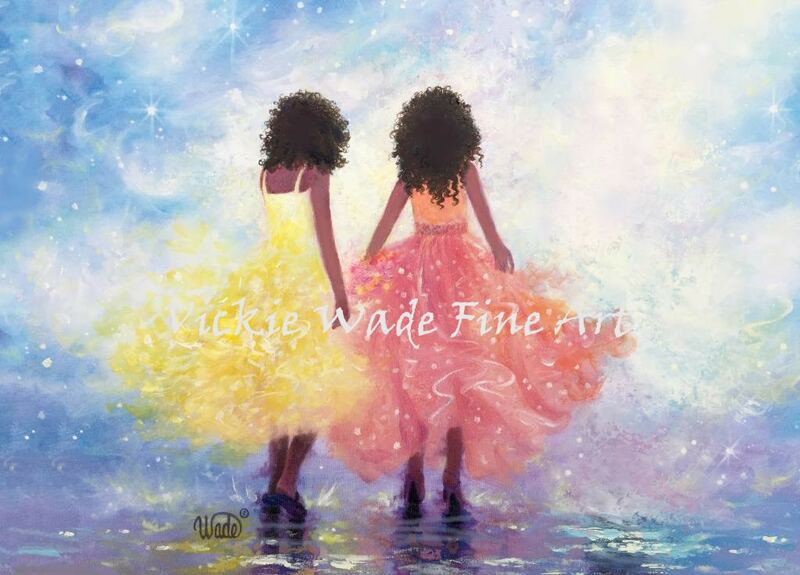 "One Fine Day"~~two african american girls is a happy large fine art print of an original painting of mine. * Image size approx. 11" X 15+" printed on 12" X 18" heavyweight smooth cover paper. Horizontal format. Watermark won't appear on painting. 2nd purchase and likely not the last!! Huge fan of Vickie’s work and she went out of her way to customize the print to my requests. Thank you!